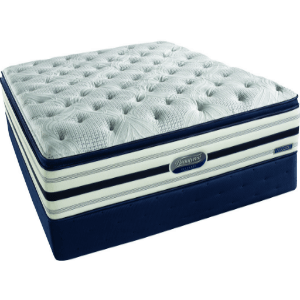 Mattress Features: 242 Coil Spring Unit. Mattress Features: Twin: 240 Coil Spring Units. This soft, cloud like feeling mattress will give you the comfort level you desire. Your sleep will be enhanced. Nothing beats the luxury and deep comfortable sleep you get from the Slumber 1 8-inch Mattress-in-a-Box. Personal care home, you need to choose bedding that will keep your patients or residents comfortable while ensuring that your institution remains clean and hygienic. Furnish your roll-away beds in style and comfort with the 6-inch Twin Quilted Top Bunk Bed Mattress. It is thoroughly earth-friendly and uses pre-consumer recycled content for more than half of its construction. The Sertapedic mattress collection is designed to offer the quality you expect from the Serta brand at exceptional values. The Essential mattress by Dorel Signature Sleep is designed with all the necessary features a mattress can offer to assure that we provide you with a perfectly sound sleep. Luxury Impression Deluxe with Latex it is a 8 in. Latex hybrid product. The mattress is composed of 4 in. of high density polyurethane. Sleep Luxury Mattress. For better, more restful, healthful sleep, the Sleep Luxury Mattress is the answer. Ultra Luxury Mattress. YouÃll soon see how this Ultra Luxury Mattress got its name. Zonal Luxury Mattress. 6 In. Polyurethane Wavy Jacquard Pattern. 7 sculpted sleeping zones provide the needed support for each and every part of your body. A Spa Sensations 10 In. Memory Foam and Spring Hybrid Mattress provides the best of both worlds. 7 Inches Thick Mattress. .